October 2004 issue available now! Winter 2005 issue coming soon! Voting commences January 1st and ends midnight January 31st for the new Readers Poll. Monkey Trap, SF suspense by Lee Denning. [Publisher's note.] Limited-Edition prints of "Underworlds" are available. 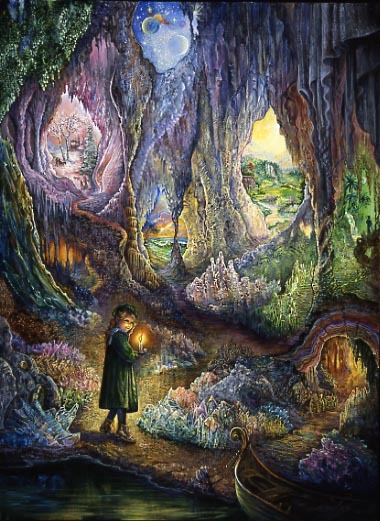 Signed by the artist, Josephine Wall. Strange Valley, SF suspense by Darrell Bain, available from Twilight Times Books.